The lead up to this years Battle of the Beasts was an enormous challenge for me. My primary aim was about raising awareness and fundraising for Soldier On; of which I increased my efforts ten-fold from last year. 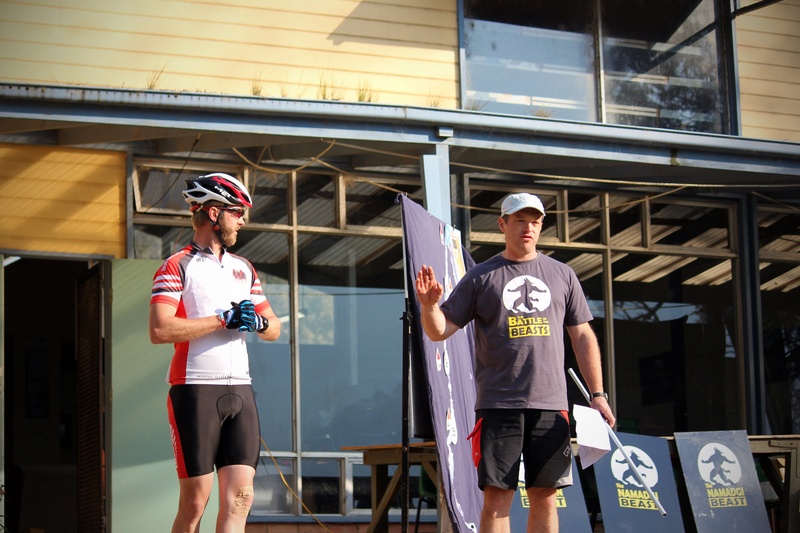 I spent a good 6 months fundraising and helping to raise the profile of Soldier On before I even thought about how I was going to tackle a huge weekend of riding. 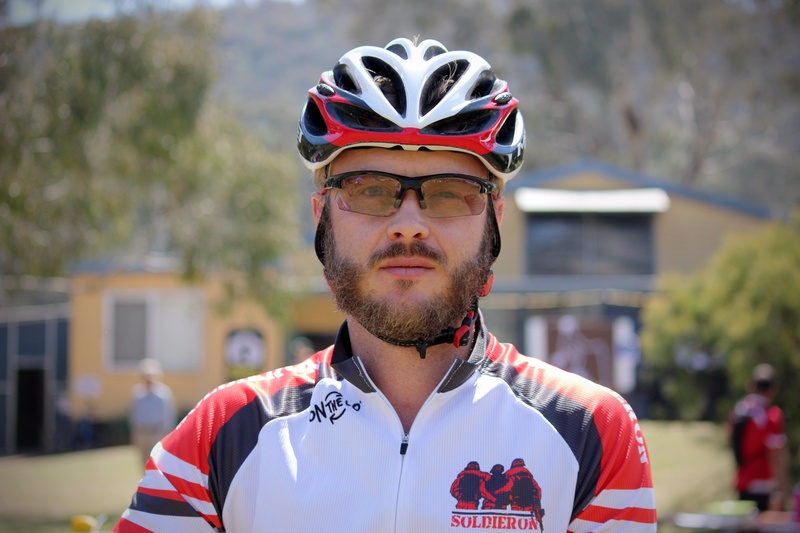 I’ve written at length about why I ride for Soldier On, so I’ll skip that part. 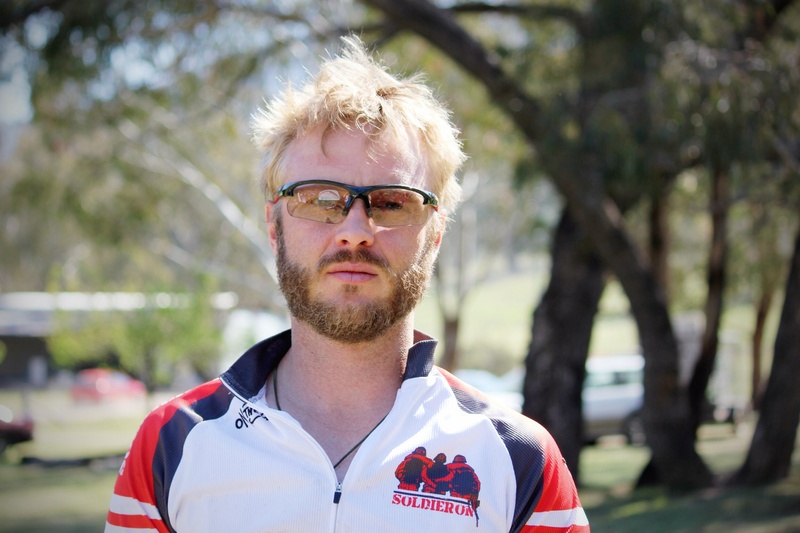 In early April this year I approached Soldier On about producing a cycling jersey that I could wear while commuting, training and racing.
.:Soldier On at the Battle of the Beasts 2013:. While Soldier On had a fairly comprehensive list of merchandise the one thing they didn’t have was a cycling jersey; and I figured the running shirt I wore last year wasn’t going to cut it for comfort and practicality. 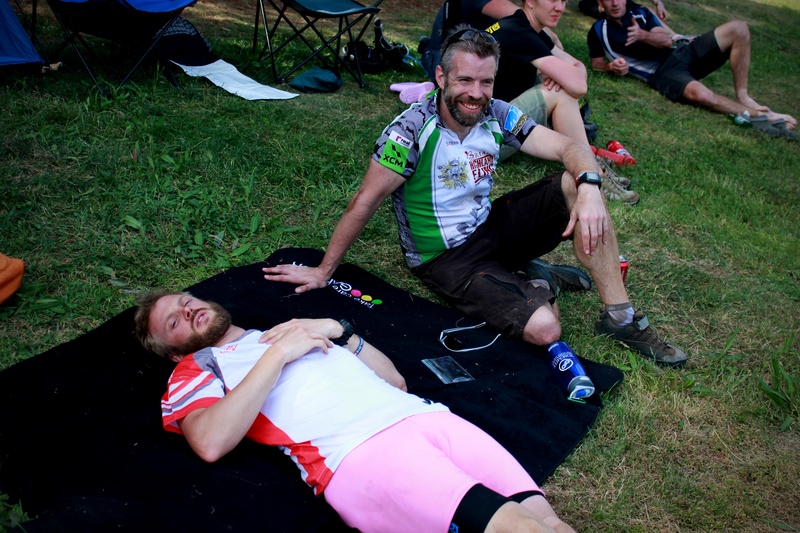 So with the help of Meredith and John from Soldier On we came up with a design and had a set of jerseys made by On The Go Sports.
.:Soldier On Jersey at the Scott 25hr:. 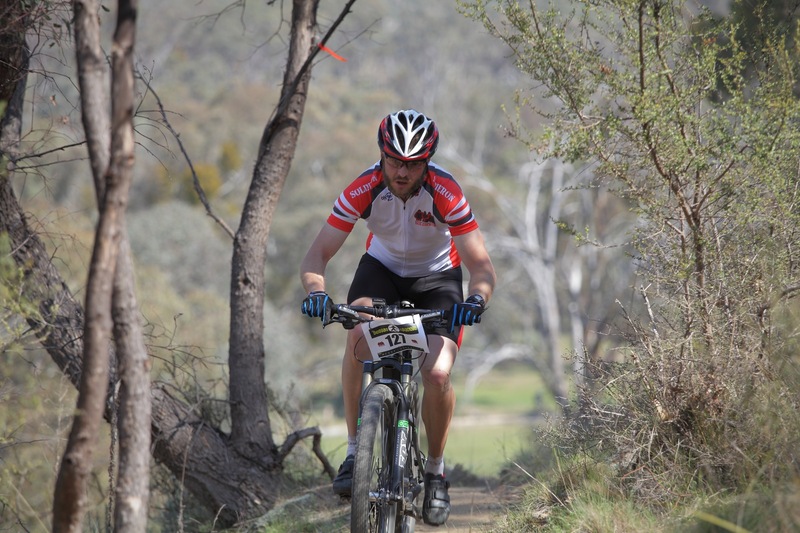 In just a few weeks of wearing the jersey in Canberra I had drummed up enough interest about my riding and Soldier On that it was time to start a Facebook page to get the word out to a wider audience. 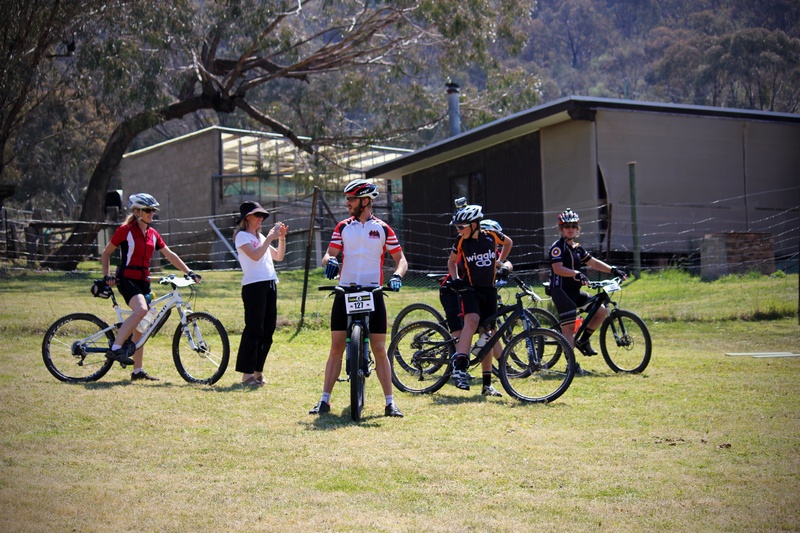 So suddenly I was a mediocre mountain biker representing a charity whose mission it is to better the lives of wounded servicemen, servicewomen and their families. It took me quite a while to realise that I was in fact one of these Soldiers that Soldier On aims to help. And each and every-time I put on the jersey I was showing the public and other veterans that you can empower yourself with something as simple as riding a bike. 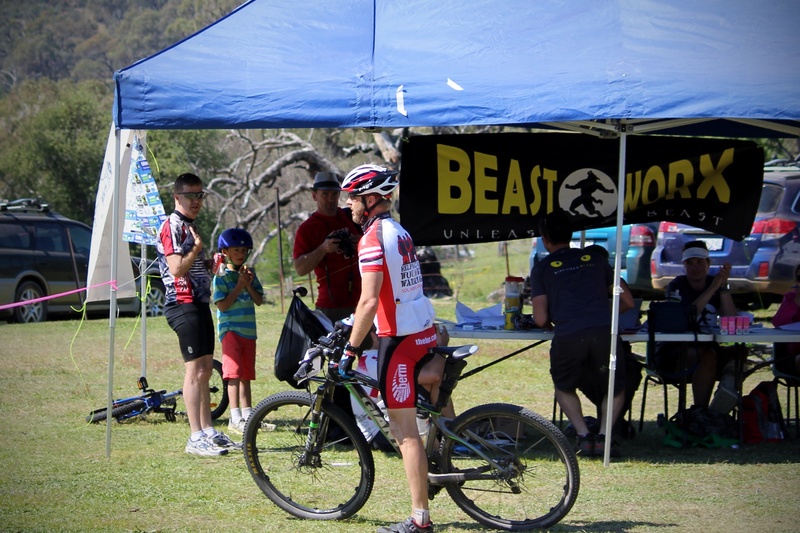 When it came time to register for the Battle of the Beasts, I signed up for both days of riding; the 42km Flowing Beast and the 72km The Beast. The decision to ride both races was an easy one; I rode one race last year, so this year it was only natural that I would ride two races. With the ongoing support from Luke and Dan from Beast-Worx, and John, Meredith and Anna from Soldier On; I started my 2013 fundraising campaign. Regular updates on this Blog, Facebook, my fundraising page and Twitter became the norm. Soon I was attracting “likes” and “followers” from as far away as the USA and slowly the donations started to trickle in. I wanted to branch out more this year so I contacted a number of Defence-aligned companies and local Canberra businesses. Out of the 27 companies/businesses I contacted only 1 stepped up and helped out. Pushys Bike Warehouse at Fyshwick supported me by providing awesome deals on products in store that kept my bike rolling. Of the other companies/businesses only 6 replied; with 2 of the replies bordering on offensive to not only my request for support but to all Veterans of Australia. 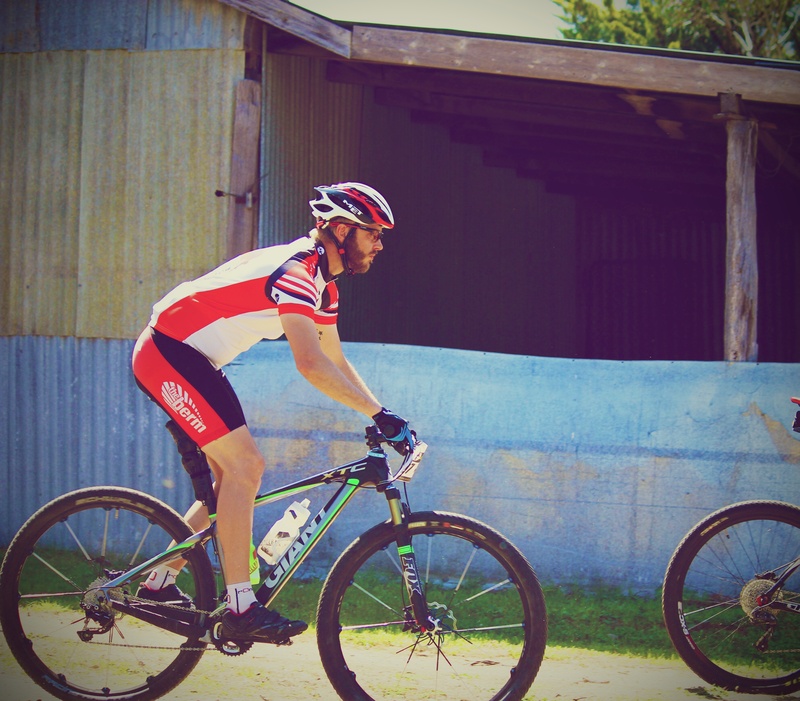 From the moment I decided to ride The Beast again I knew I would have to actually train for this years race. Last year I lost almost 7kg through sweating, vomiting and post race bleeding from the kidneys (clearly my hydration/nutrition plan was a failure). Despite riding to work and racing quite regularly I knew I would have to put more kilometres of dirt under the tyres with more emphasis on climbing. So I started a 4 month training regime; and posted my weekly training updates on this blog. As the weeks turned to days and then to hours before the first race of the Battle of the Beasts weekend; I knew I was fitter and more mentally prepared for this years event. My prep was simple; working bike, working body and enough fuel to keep that body going. I had spent a lot of time working out what was the best way for me to keep hydrated and fuelled through a lot of trial and error. I sat down the day before the Flowing Beast and mapped out a plan for both days of riding; and I’m very happy to say I stuck to the plan for The Beast. The Flowing Beast on the other hand…well I’ll get to that soon. 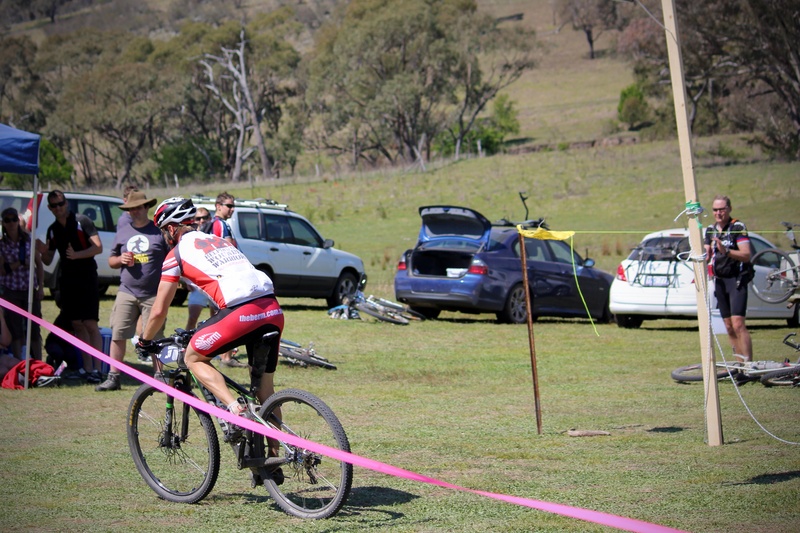 First of all I didn’t intend to actually race the 42km course. With the Beast the next day and being fairly warm and sunny; I thought it best if I just pedalled around the course for two laps and saved my legs for the next day.
.:Drumming on the bars waiting for the race start:.
.:And we’re off for the Flowing Beast:. Well the original plan went out the window as soon as I found myself passing the majority of the field on the first fire-road climb. Somehow I was in the lead pack just behind the Dynamic Motivation crew. 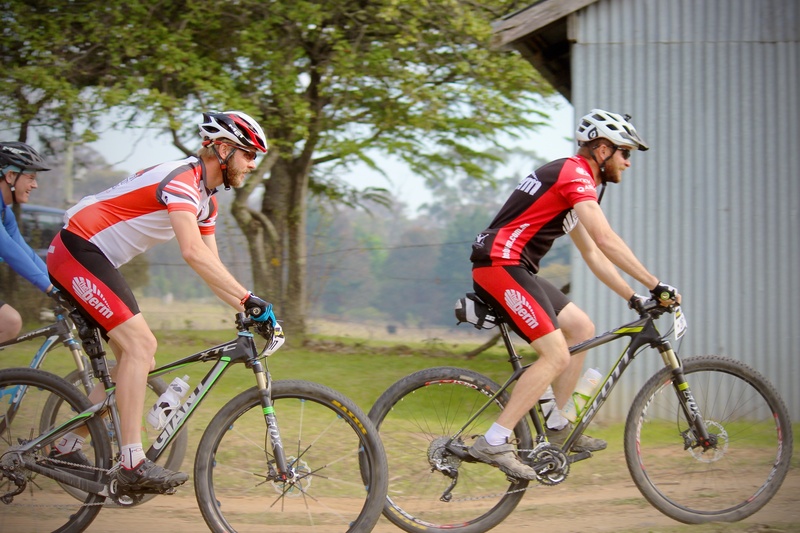 As we entered the first lot of singletrack I back off a bit and let a few riders pass; but I soon chased them back down as we entered the second half of the 21km course.
.:Brettski was out taking photos on the course… Pushing up the hill lap 1:. As I headed through transition and swapped out bottles I found myself alone as I started the climbs of the first half of the course. I kept looking behind me and anticipated the inevitable call of “track” signalling a faster rider was bearing down on me. For the first time in a race ever, this didn’t happen. In fact I started passing more and more riders as the end of the race drew closer.
.:Brettski was out taking photos on the course… A little more pain this time on lap 2:. I knew I wasn’t going to catch the elite riders but I also knew I was going to post a good time so I pushed on and ended up catching the race sweep before changing to the big ring and powering up the final climb and towards the finish line. 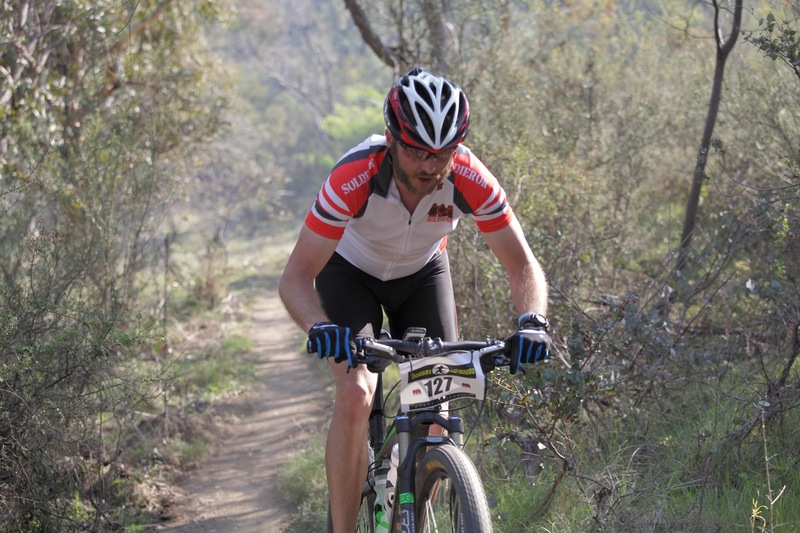 By the end of the race I had ridden 44.2km in 2hr39min. An effort I was very happy with; but something I would undoubtedly regret the next day when my legs would start screaming at me. Something I’ve been doing lately is taking before and after race photos. 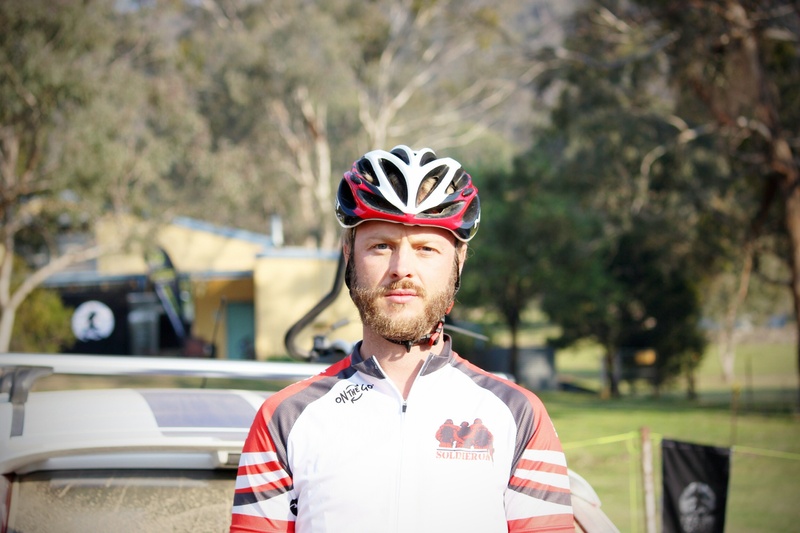 Below is my before and afters of the Flowing Beast; I lost 2.7kg during the days riding. 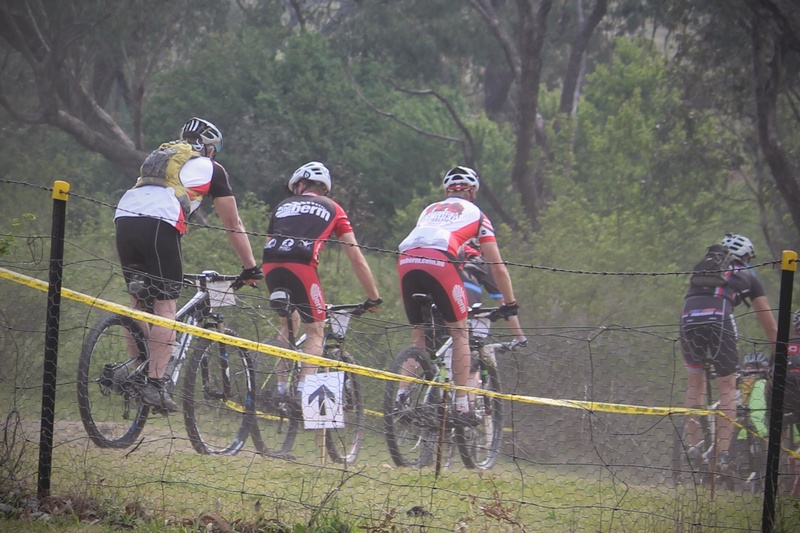 Fizz from The Berm said of last years race: “there are those that have done the Beast event, and those that have not“. To be honest he is right. 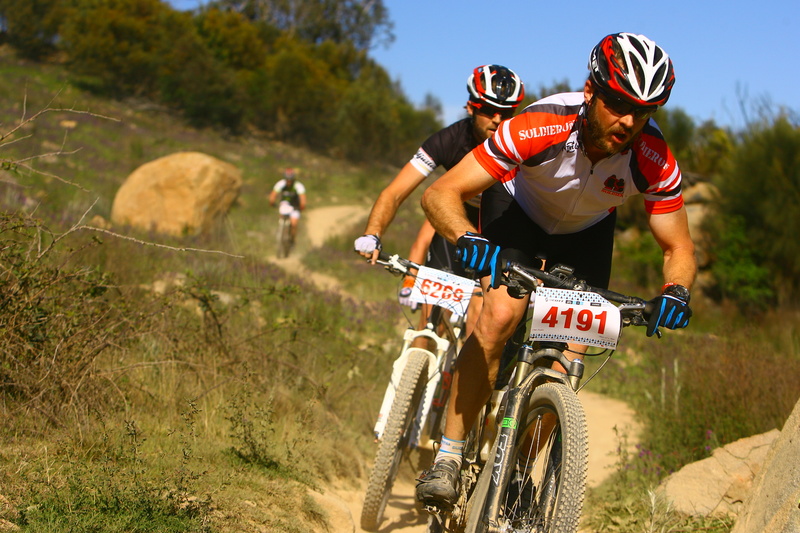 Many riders complained before last years race that 72km on a fire-road was too easy. Well considering the number of DNF’s for the race was in double figures I wasn’t surprised to hear the same people complain that it was too hard by the end of race day. I wasn’t physically or mentally prepared for last years race but I finished and that was something I was incredibly proud of. 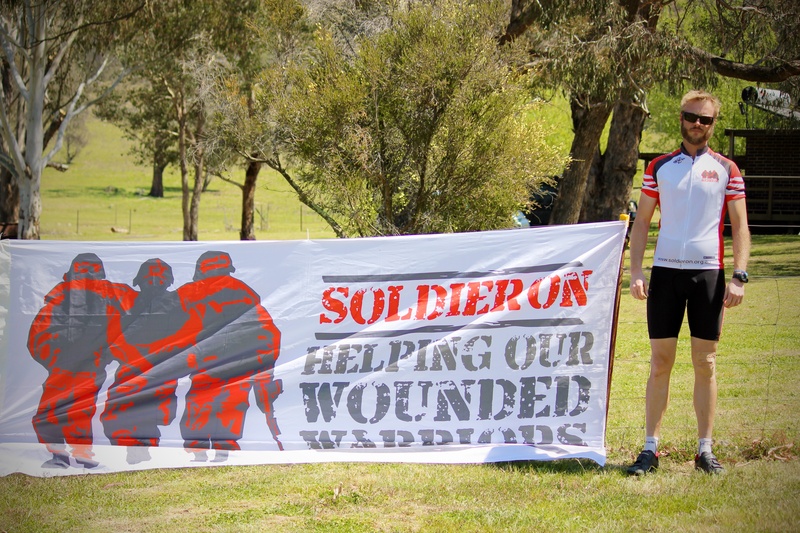 Along with finishing the race I raised $5’702 for Soldier On; which made the blood, sweat and tears worth it. As I detailed in my 2012 wrap up it was the hardest thing I had done physically outside of the Army. The day started with the long drive out to Caloola Farm and re-registration. I had left my race plate on my bike from the previous day and considering it was attached to the roof of my car; it didn’t survive the drive home. I attached the new race plate to Kate and set out to mingle with some of the other riders and the Soldier On crew. With the bike ready, knicks and jersey on it was time for the pre-race brief from Beast-Worx Luke. 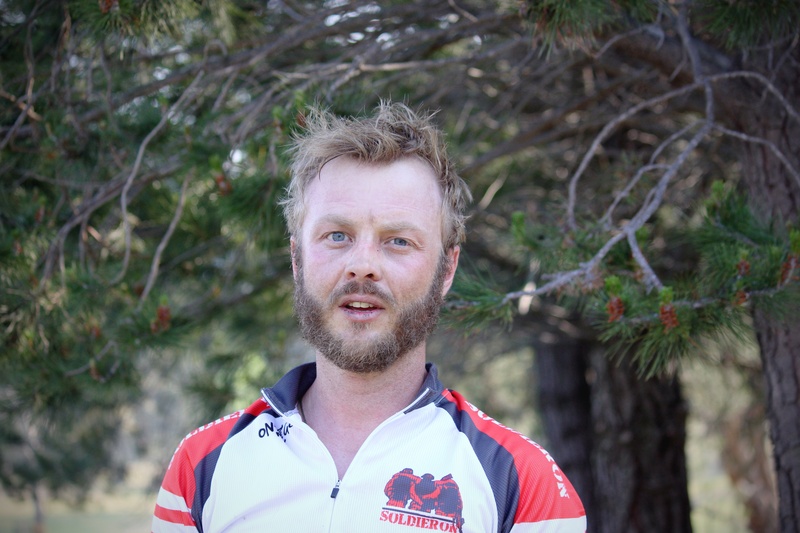 Along with the obligatory course info and safety brief; Luke called me out in front of the other riders and explained about Soldier On and introduced me and spoke briefly about my fundraising efforts.
.:Out the front with Luke:. Minutes later we were lined up near the start point. 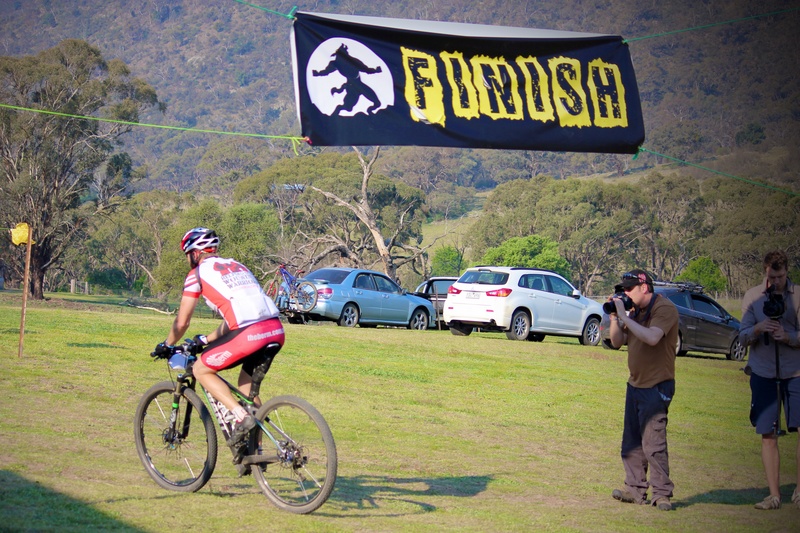 Last years Beast’s Jeremy Ross and Anne Broadbent soon headed off with the elite pack chasing a few minutes later. After the elites had crossed the first creek the rest of the pack headed off. I had a plan committed to memory; I had broken the course down to 15km sections with an average speed and time-frame to achieve.
.:I started with Adam “Rocket” Rolls before he powered off into the distance:. Even after riding the Flowing Beast the day before I felt somewhat fresh and watched as the kilometres started increasing on my GPS. With a different bike, sans Camelback and with a lower temperature and cloud cover this year; I was soon reaching checkpoint after checkpoint and riding up climbs I walked the year before. On the steep climbs I did walk; I only dismounted when my speed dropped lower than I could walk pushing the bike. With just two bottles on board I monitored my fluid intake carefully. Despite the lower temperatures I kept to my plan and consumed food and water to plan and stopped at each checkpoint to refill my water. While riding with last years riding-buddy Argo; I was making good time and resisted the temptation to push out. Last year Argo took the lead and I followed him; without his encouragement I doubt I would have finished. But this year I had to tackle this course on my own; I needed to tame The Beast solo and soon I found myself climbing the steep inclines and braving the steep declines by myself. 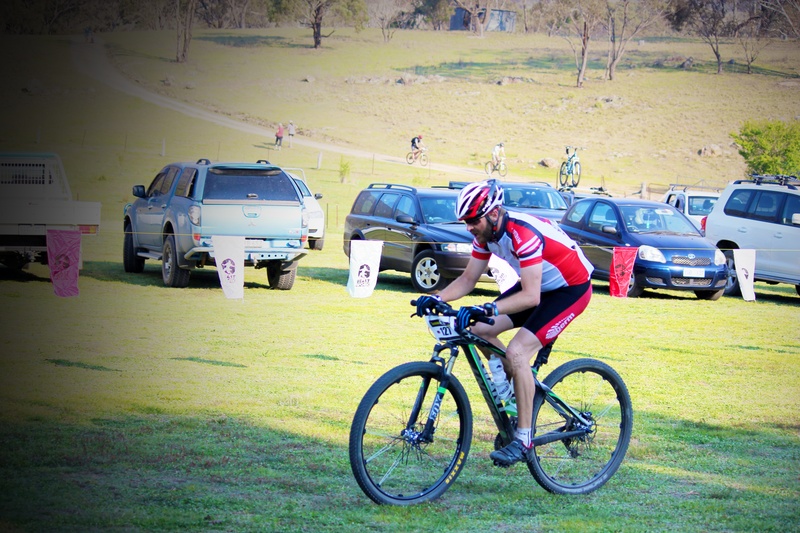 I was methodical in sticking with my riding plan and didn’t alter from it until the final 8km of the course. After getting up Mt Soldier On by jogging to each water bar, resting for a count of ten and then repeating. I was soon on the way to the finish line. I had a moment of pure elation when I rode on the track named after me, “Dobbsie’s Run”, and screamed out a “F**k yeah!” for all the valley to hear. I sped down the hill to the final checkpoint and refilled both of my bottles with the intention of throwing my riding plan to the wayside. I had a time-frame I wanted to finish in and I was nearing the start of that bracket. So I zipped up my jersey, changed into the big ring and started pushing to the end. For the next 7km I didn’t see or hear another rider. I ignored my GPS and pushed past my intended speed and soon I could see the main fire-road that would take me back to the event centre and the finish line. 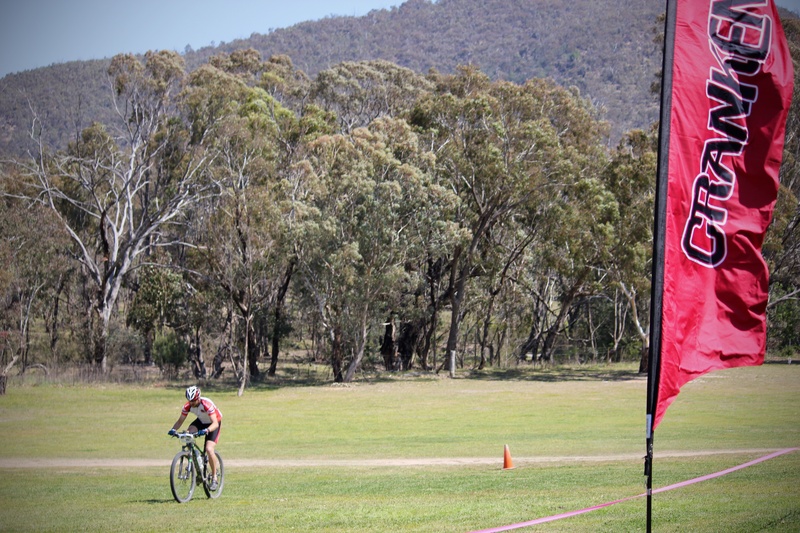 Soon the last few kilometres disappeared, I hit the grass and rode under the finish line banner to end The Battle Of The Beasts for 2013.
.:And just like that, it was over:. It was a good feeling to finish and an even better feeling to know I wasn’t completely spent and had shaved off over an hour off of my time from the previous year.
.:After the first bit of real feed post race:. I’ve read a few race reviews and wrap ups from other riders since the race finished. While most riders get the point of the race some others don’t seem to. It is not designed to be a test of endurance to rival the harsh conditions that servicemen and servicewomen face on deployment. If that was the case there would be the ever present risk of improvised explosive devices, indirect fire, small arms fire and multitude of other dangers that are thrown at our men and women in uniform. And believe me; no one that has ever experienced this would like to see others subjected to it. 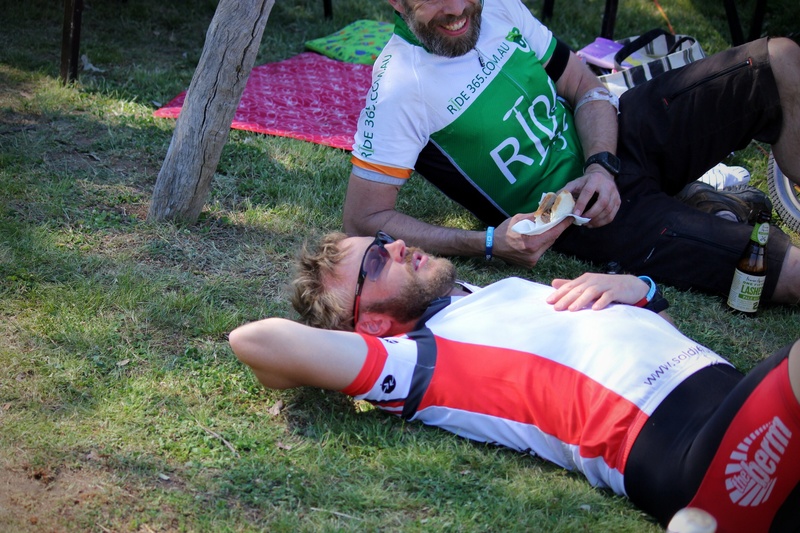 The is a race designed to test you both physically and mentally by giving you an opportunity to tackle an incredibly difficult ride and raise much needed funds for Solider On. By completing The Beast you achieve what many others won’t attempt; you tame Your Beast. 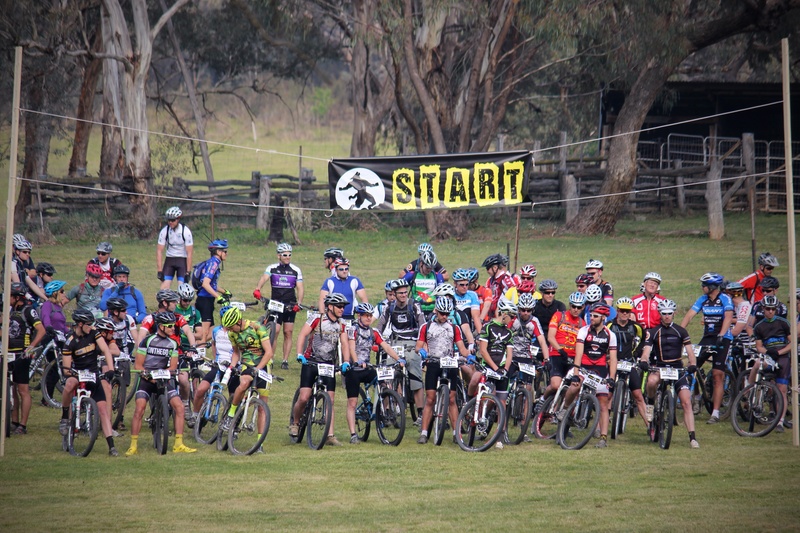 This race is designed to try and break you mentally, this race wants you to fail, and this race puts climbs in front of you that many people wouldn’t even consider riding. But by crossing that finish line you achieve what the Beast-Worx team wanted you to experience; you found that little something deep within that you rarely let out; you pushed through the pain and emotion and achieved your goal. This is why we choose to ride The Beast; not because it is easy; but because it is difficult and because we need to test ourselves to be better. Great write up and great riding. A massive pb for you. I suffered thru the beast and had to really dig deep in the back half of the race. Will be training hard on hills for next year. Next year will be easier. You know what you need to improve and know what to expect! Chad’s spot on Alex. Chalk and cheese between this year and last. We had a suffer fest last year! It’s great to know when to save your energy and when to let it rip! loved the scenery and the challenge but having the legs falling to pieces after the tough climbing over the first half made it hard. need to practice hills, hills and more hills to toughen up the legs. will be there in 2014.